The phenomenon of “colony collapse disorder” has been associated with a variety of causes including mite outbreaks and the use of neonicotinoid pesticides. Quite likely, both of these factors have played a major role. A new study by the USDA has looked at the effect of increasing carbon dioxide in the atmosphere on the nutritional value of bees’ diets. It turns out that the protein content of pollen has dropped dramatically over the last 170 years over which carbon dioxide levels have risen by over 40%. By studying historical samples of goldenrod stored at the Smithsonian Natural History Museum, scientists have been able to track the protein levels in the pollen of these plants that are critical to bees’ diets. It is clear that protein levels have been dropping as CO2 levels rise. The reason is that increased CO2 enables the plant’s starchier parts to grow faster and bigger, which essentially dilutes the protein content. Bees’ diets consist of nectar which is essentially sugar, and pollen, which is a source of protein. 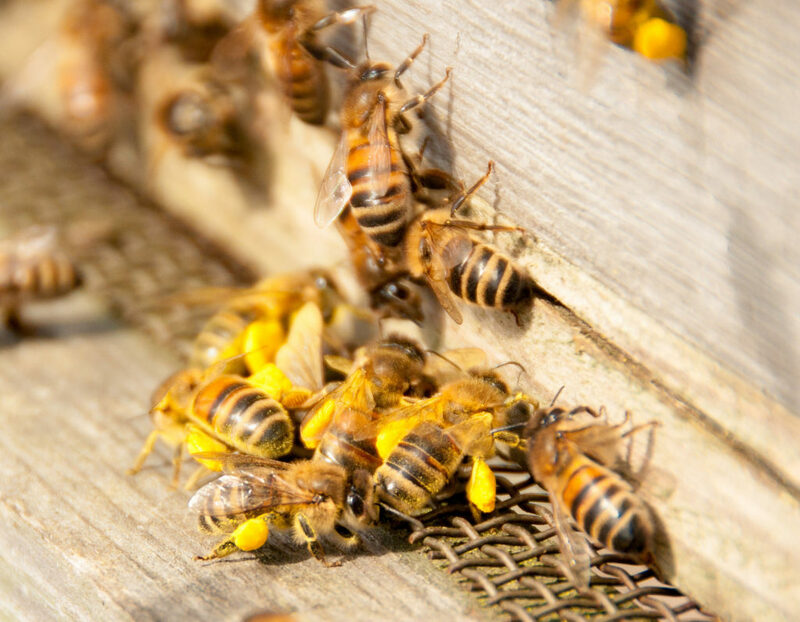 With decreasing protein in pollen, it is becoming junk food for bees. Given the other stresses on bee populations, a diet of declining nutritional value is making it harder and harder for bees to survive. Lower nutrition is probably not the root cause of the decline of bee populations, but it could well be the straw that breaks the beehives’ back. ‘Carbon Dioxide and Bees’ from Earth Wise is a production of WAMC Northeast Public Radio.